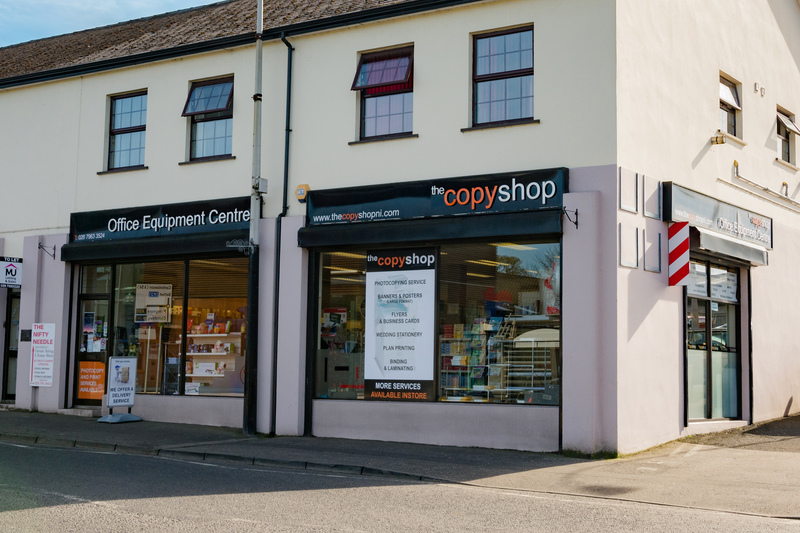 Established in 1986, the Office Equipment Centre is one of Mid-Ulster's premier suppliers of quality stationery goods. We are a family run company in it's second generation, and our principles of excellent customer service and exceptional quality still remain today. From pens, pencils and scientific calculators, cash books and thermal rolls to paint and ribbons, we aim to supply you with all school, office and hobby essentials. We carry a wide range of products and if we don't have it in-store just enquire with one of our dedicated members of staff who will be happy to help. We also provide design, printing and reprographic services for all business and personal needs in The Copy Shop, located within Office Equipment Centre.